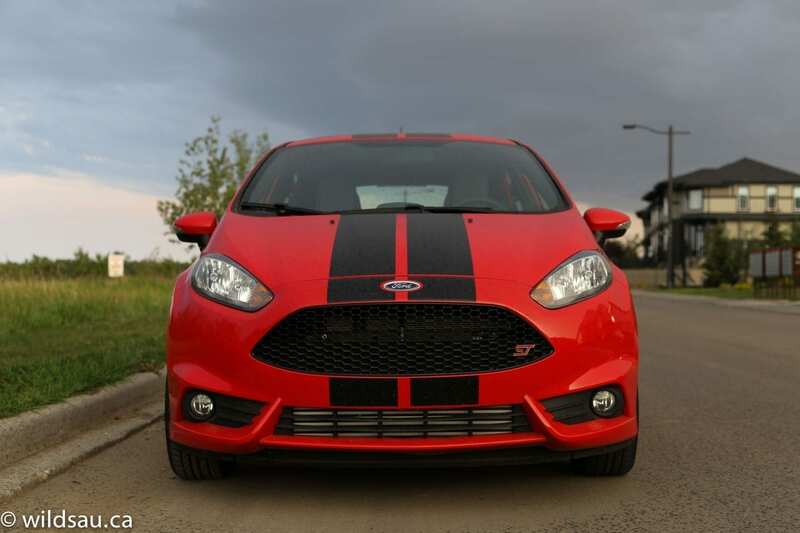 Truly the most fun you can have at this price – the Fiesta ST invites you to play at every turn. Am I going to gush in this review? You bet your boots. I’ll give away the ending right now. I love this car. No ifs, ands or buts. Does it get everything right? Not even close. But it gets the driving experience right, and that’s what it promises. A car that delivers on its promise gets high marks from me. 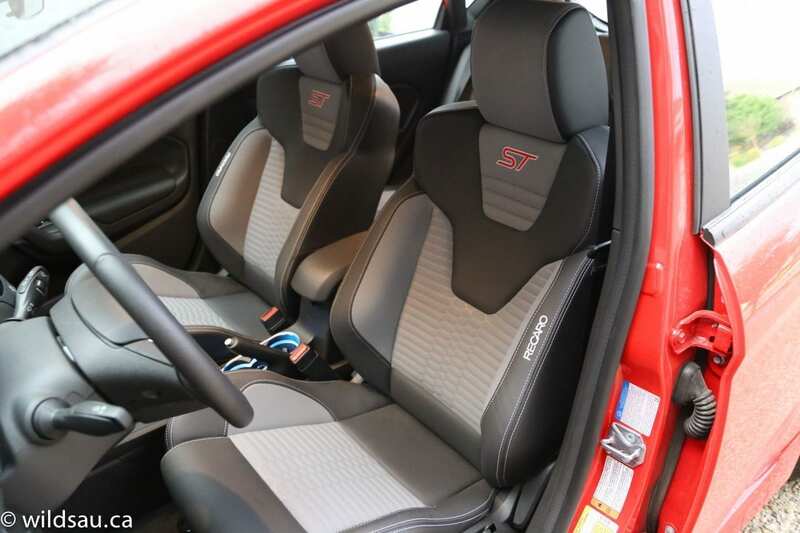 It might not be everyone’s cup of tea, but if you’re in the market for a car that can make you smile more than you knew was possible behind the wheel, you’d be doing yourself a giant disservice by not checking out the Fiesta ST.
Yeah, the interior materials aren’t great, as they are shared with the regular downmarket Fiesta. 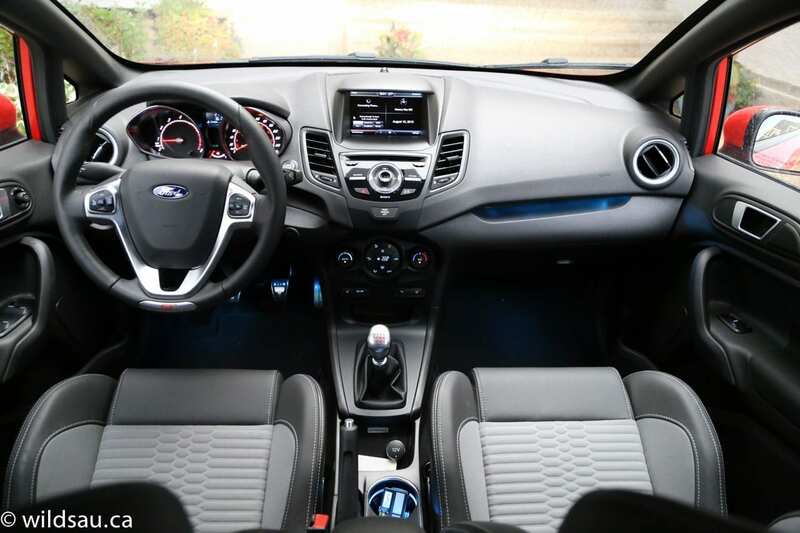 Frankly the whole interior is nothing special, and as with other Fiestas, the MyFordTouch screen is too small, particularly for the touch functions. 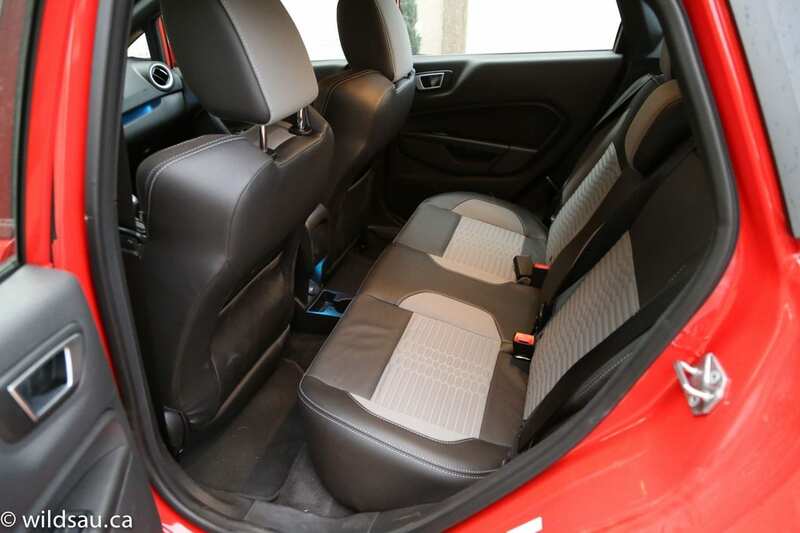 It’s cramped in the back, with room for two adults and not a particularly generous amount of leg room. 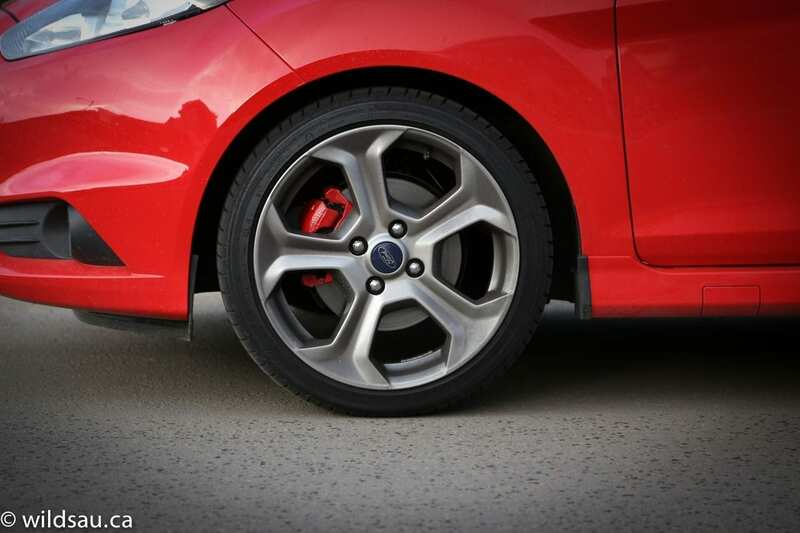 The ST has a very firm ride – it’s OK on good streets but punishing on less than perfect roads. 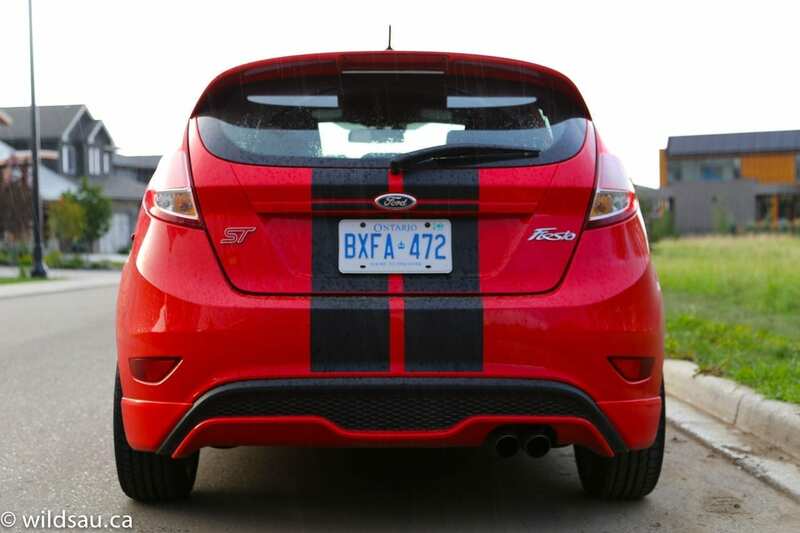 So on an everyday basis, the Fiesta ST becomes a car that can be uncomfortable more than not, if you live in a city like Edmonton and are often traversing terrible roads. I found that it feels slightly nervous on the highway, although it was always completely stable. 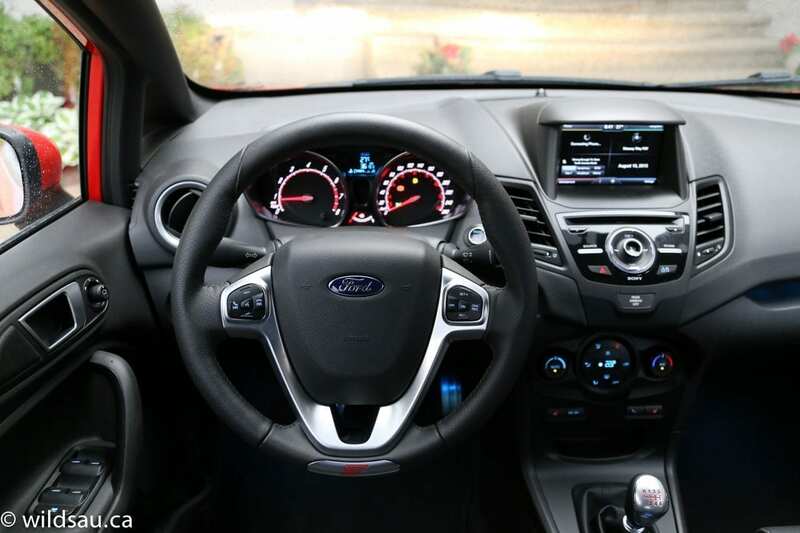 There’s a good little steering wheel, and behind it, a direct but surprisingly heavy steering feel. This leads into the ST’s handing, which is absolutely sublime – it feels as though it handles better the faster you drive it. The car stays remarkably flat around corners and bites into them with a rarely found eagerness. Somehow it feels like it always wants to do a little more, have a little more fun, play a little more. 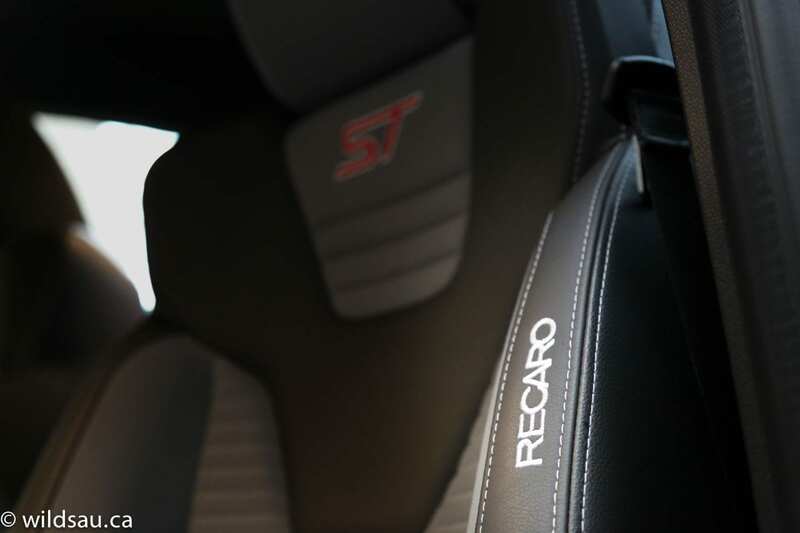 The seats are heated, manually-adjustable Recaros that are extremely well-bolstered and supportive but also comfortable and they felt nearly perfect for me – if you’re over 210 lb or so, you might find them to be a bit restrictive, especially in the shoulders. 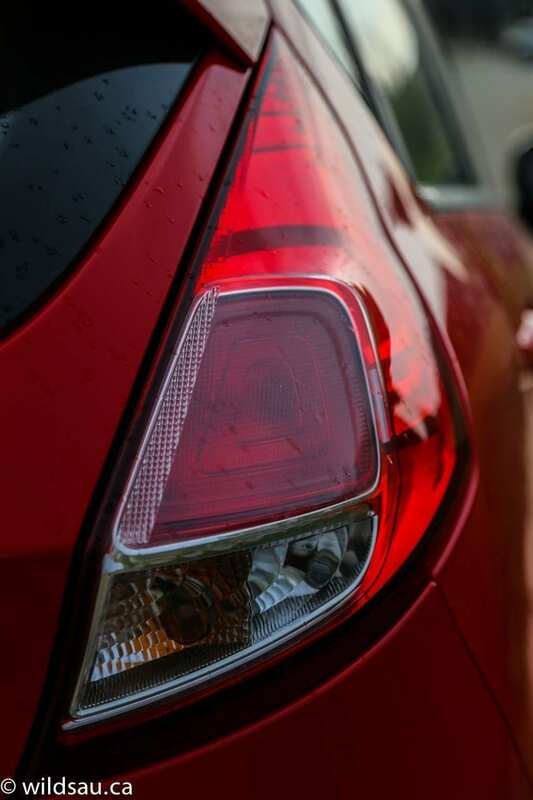 The only available transmission is a 6-speed manual and it’s one of the best shifters out there – relatively short throws and well-defined gates pair with an easy, not-too-light clutch action to make rowing the gears in the Fiesta ST a pleasure. 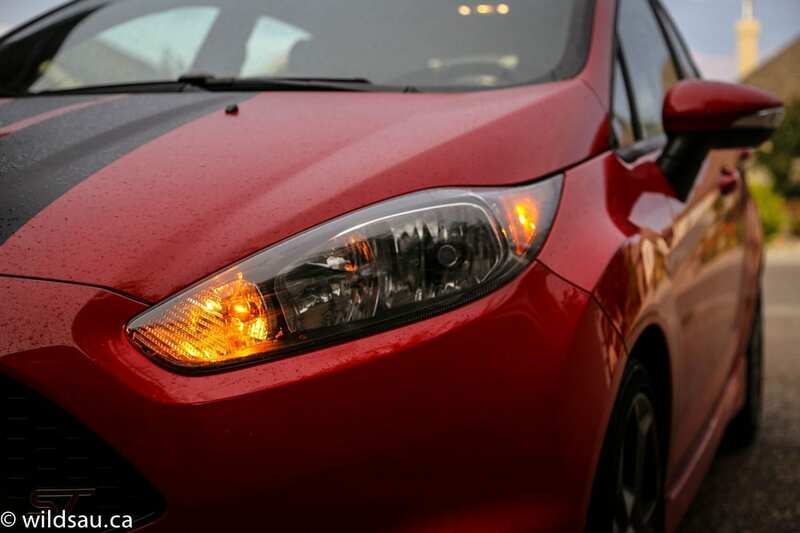 Ford definitely took the already good-looking Fiesta and wrung out a car that doesn’t kid around. 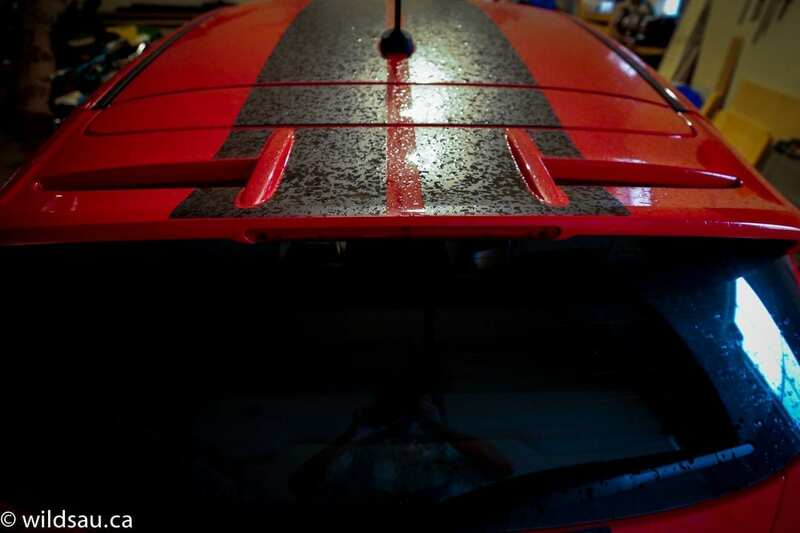 It announces its presence, especially in my review car’s race red – but forget about adding the silly racing stripes. I thought the 17-inch wheels look good, the stance looks good… heck, the whole thing looks good, if a bit eye-catching and boy-racer. But nothing looks overdone or silly. No surprises here. As noted, it’s a bit of a low-rent interior, although you get automatic climate control, navigation, and most of the basic creature comforts. 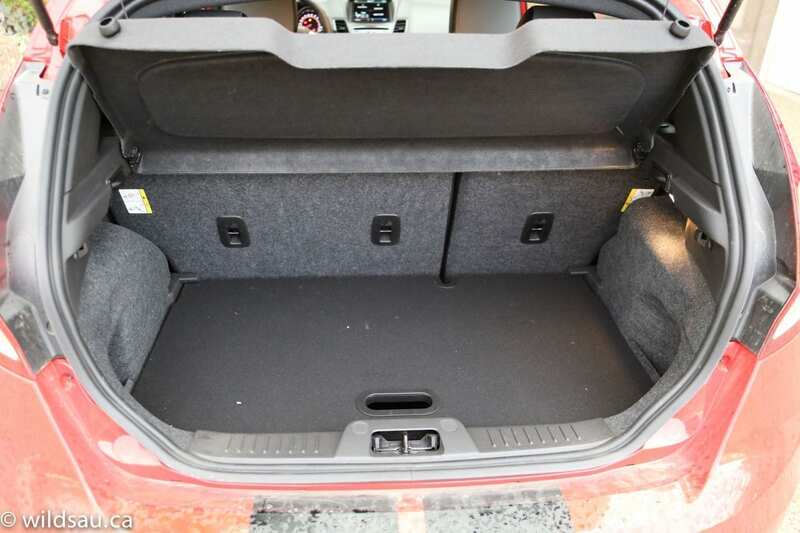 The trunk is small at 285 litres, but you can grow that to 720 if you flip the rear seats down. 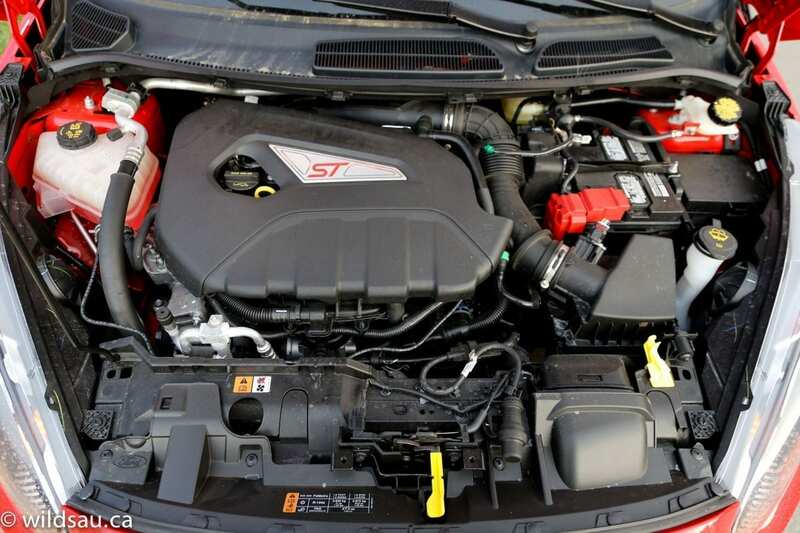 Here you’ll find a 1.6-litre EcoBoost 4-cylinder that puts out 197 horsepower at 6000 RPM and 202 lb.ft of torque at 4200 RPM. 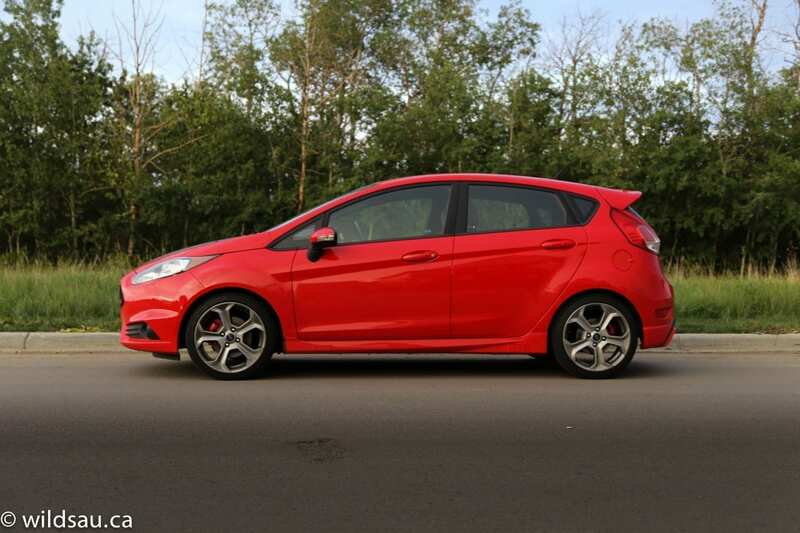 The ST is actually quite efficient, and Ford rates it at 9.0 L/100 km (26 US mpg) on the highway and 7.1 L/100 km (33 US mpg) in the city. I averaged 9.1 L/100 km (26 US mpg) driving it with quite a heavy foot and found that quite impressive. 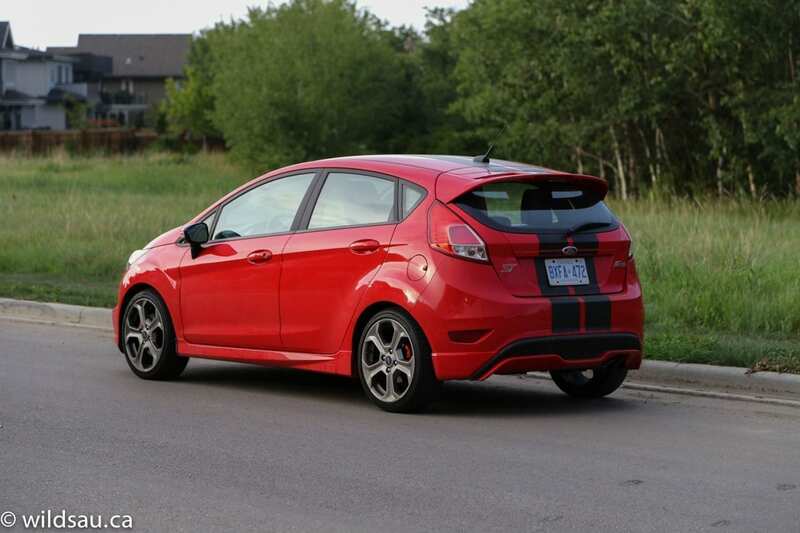 If you haven’t figured this out yet, the Fiesta ST is an absolute delight to drive. 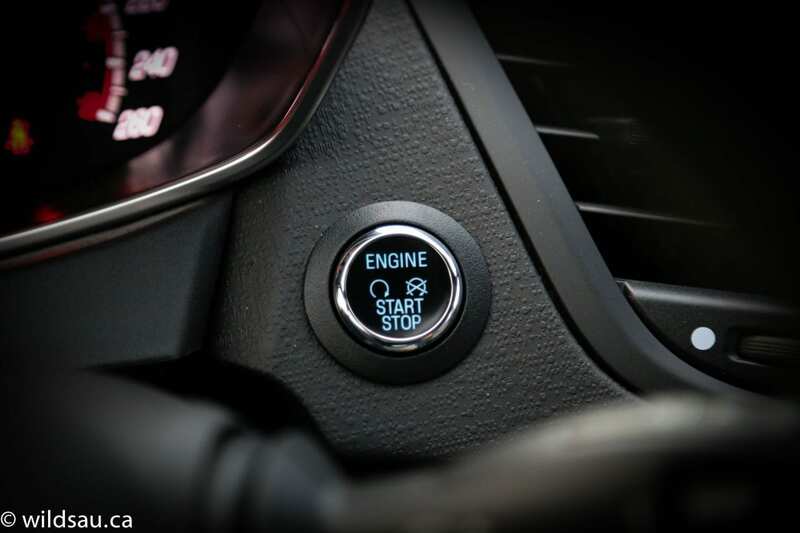 It doesn’t have a world of power at lower revs, so you’re encouraged to use the gears to access the car’s abilities beyond the initial lag, which is exactly what I’d expect from a driver’s car. There’s a little bit of torque steer under heavy throttle, but somehow it’s not annoying – it makes it even more fun. Once you’re in the power, it’s on and it’s quite linear after you overcome that lag, which means it pulls hard nearly to redline. 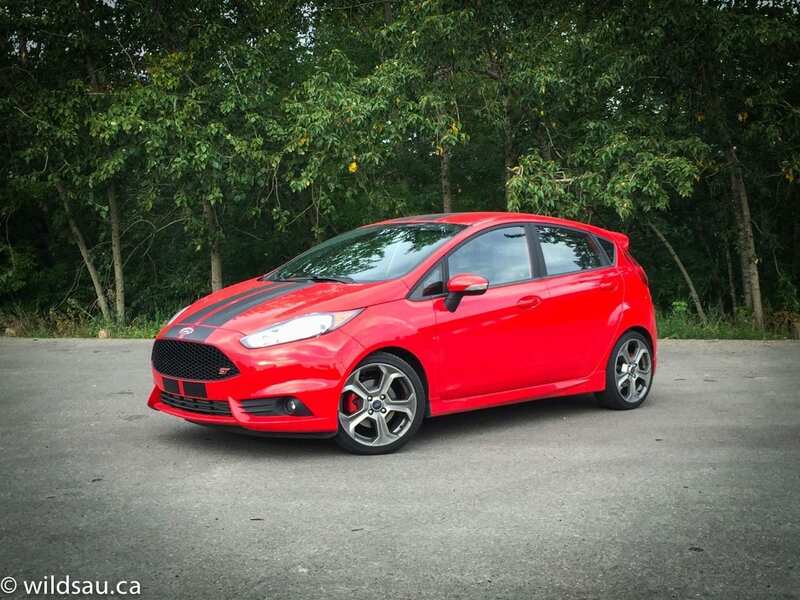 The little EcoBoost engine doesn’t make a lot of sound at lower RPMs so Ford adds a “sound symposer”, amplifying some of the lower rev resonance into the cabin – while it is clearly artificial, you get used to it and the effect feels mostly natural, reminding me more of a free-flowing intake and exhaust combination. More importantly, once you start hearing the engine’s real sounds, they are simply delightful – a snarly 4-cylinder that was music to my ears. 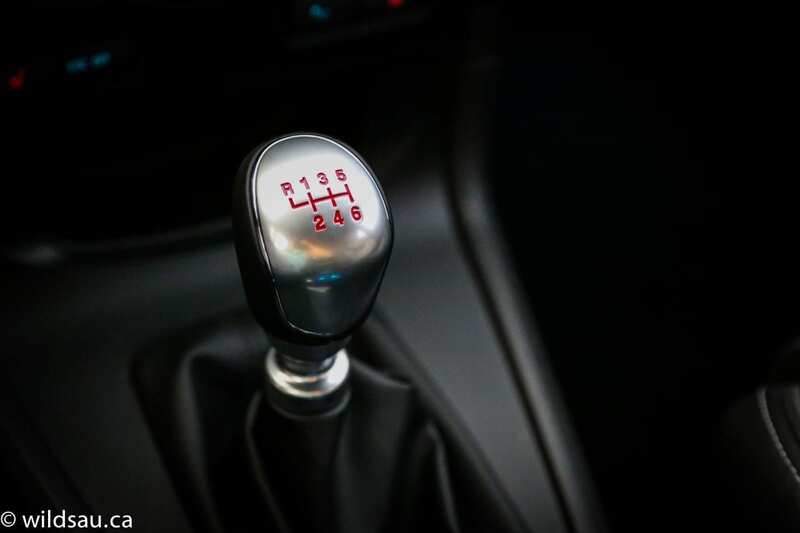 The 6-speed’s gears are closely-spaced, which means rapid acceleration is achievable, however it leaves you with a car that cruises at fairly high RPMs at highways speeds. 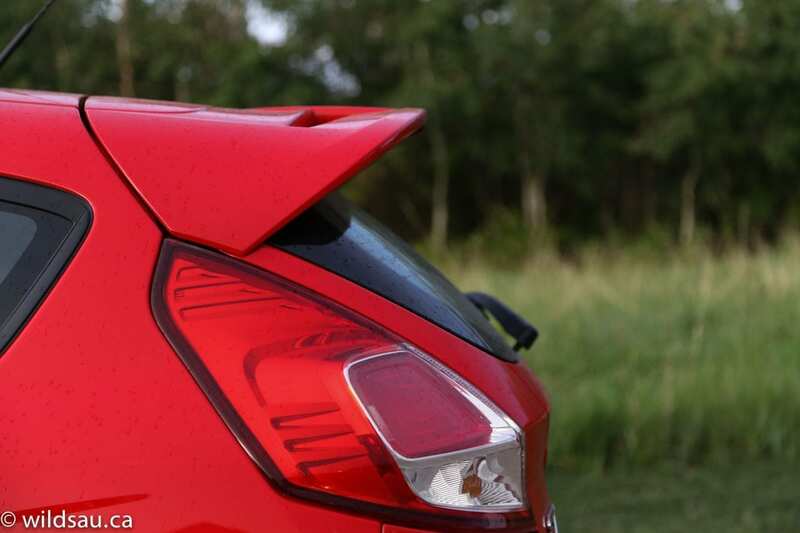 The Fiesta ST is definitely not a quiet car – wind noise is actually well suppressed but road noise is an issue on almost all surfaces. I love the car’s size which makes it easy to drive around town and park nearly anywhere. Outward visibility is excellent, except the rear headrests (that can be flipped down) are in your way when they are in use. 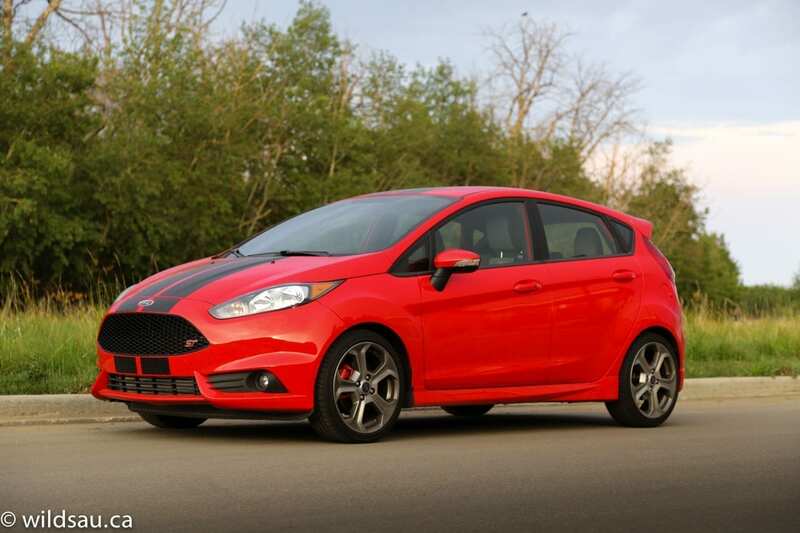 What I love about the Fiesta ST is that it doesn’t feel like an economy car with a powerful engine. It feels like a great sports car with the right amount of power and outstanding handling and brakes. WAF (Wife Acceptance Factor) was low. She thought it looks to “racy”, that it was too loud, and that it was uncomfortable. Haha! What does she know?! 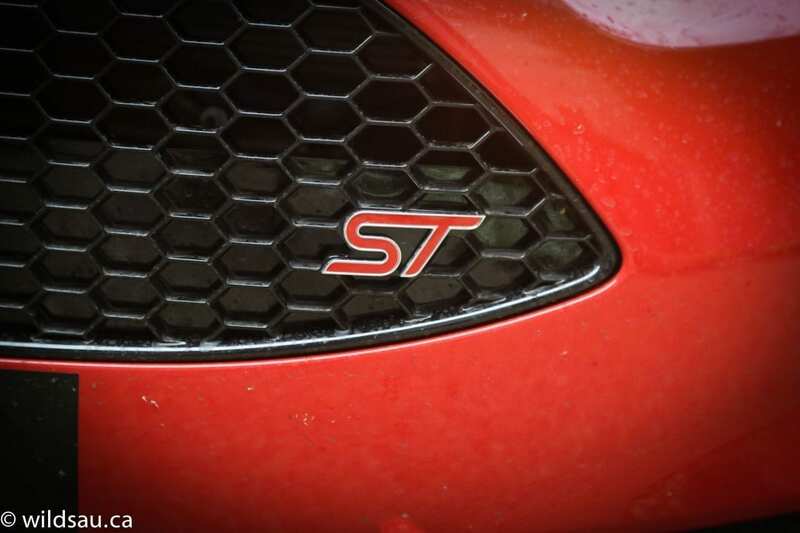 When it comes to the Fiesta ST, I can’t imagine Ford set out to build anything less than a great sports car that caters to a driver’s needs and wants, and that it intended to make it affordable and liveable. Mission Achieved, Ford. Mission Achieved.